One of my favourite things about 2016 has been the Old Particular range from Douglas Laing. This for those unaware focuses purely on cask strength bottlings including grain whiskies. Now already I’ve caused a rift in the force as I realise many out there detest grain whisky and if you’ve tried the Haig Club, who can blame you? Toss that blue bottle aside – or recycle it – and try grain whisky again. Although I still know enthusiasts who just dislike grain no matter what you sit in front of them. Fair enough, everybody is entitled to their own opinion when it comes to whisky however wrong it may be. Take myself for instance as I’ll avoid Jura due to an allergy (of rubbish whisky) and I’m just not sailing on the HMS fanboy love for Bruichladdich. I actually heard on the grapevine they’re selling more gin than whisky now, so maybe they’ll just switch to gin full-time? Enough, lets get back to this Old Particular offering which if you didn’t know is bottled at cask strength, without colouring or chill-filtration. Those are key ingredients to a rewarding whisky unless its Bruichladdich or Jura. This Carsebridge was a bit of a surprise when it started to appear online as the price was just circa £80. 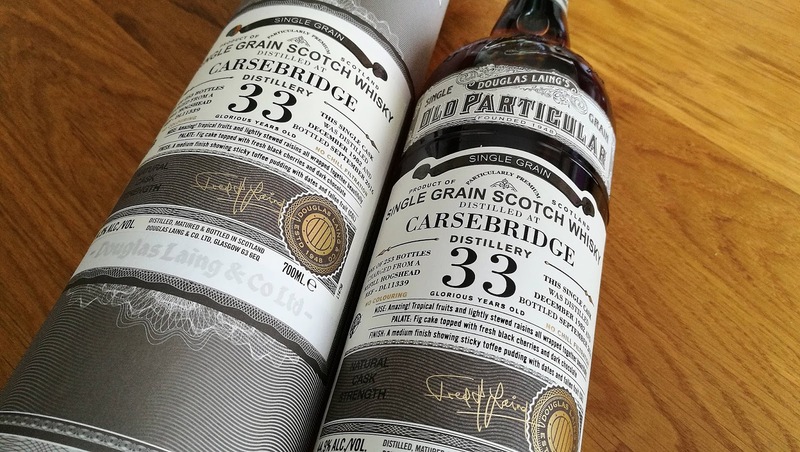 Yes, grain is traditionally cheaper than single malt (despite the best efforts of Diageo and William Grant & Sons), but not a 33 year old from a closed distillery that is rarely bottled. Needless to say it was selling out all over the place but I did manage to grab a bottle. Then another tasting from under the table at the Dornoch Whisky Festival Gala tasting, thanks David for that dram. Today in 2016, grain distilleries have been somewhat condensed into key locations often in the central region of Scotland offering ease of access. 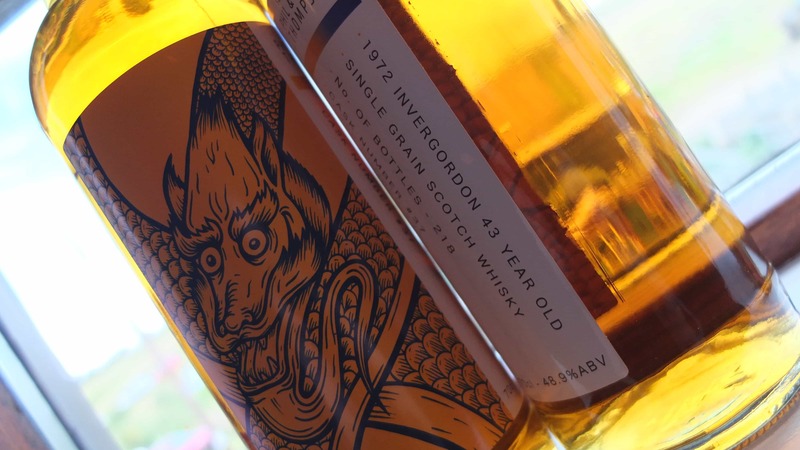 The one that is an oddity is Invergordon distillery in northern Scotland. 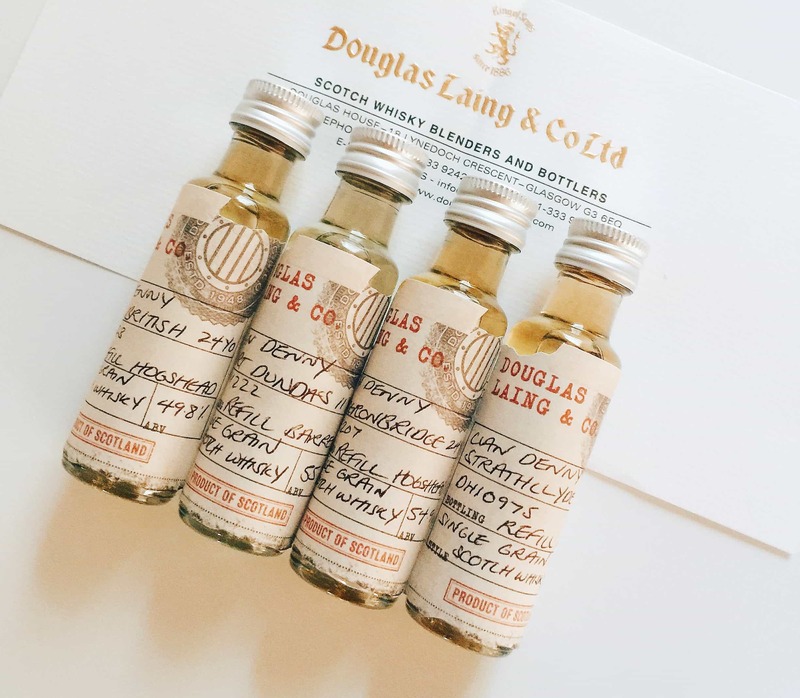 I’ve often found these lost grain distilleries offered a lovely added dimension to their spirit and you can taste the proof with Cambus, Caledonian and Garnheath. Nowadays depending on what grains the existing distilleries are utilising, the exponents of the current era seem more spirit neutral with North British being an exception. Although I hear that North British is experimenting with different grains which may impact on its characteristics; only time will tell. Carsebridge was established in well the date varies according to sources hugely as it was initially a malt distillery. What is fact is that it closed in 1983 making it another victim of the cull of the early 1980’s due to overproduction. Key factors in its demise was the confined location and limited transport links that were decisive measures for many Scottish distilleries. This single refill hogshead cask was distilled in 1982 so the year prior to the distillery closure and bottled in September 2016. Resulting in 253 bottles at a strength of 44.9% with no colouring (it looks glorious enough Mr Paterson) and no chill filtration. Nose: its a formidable bombardment of wood and spices initially. A superb marriage of spirit, wood and patience. I’m typing this in December but even if it was summer you’d be thinking of Christmas cake with marzipan and the assortment of orange peel, lemon and a raft of spices. Then I’m taken back to fig rolls and a Black Forest Gateau with cherries and dark chocolate. It’s an intoxicating bouquet, the Helena Christensen of whiskies. Taste: more sweetness here with sticky toffee pudding including dates and lashings of toffee sauce. A little pepper, stewed plums and more Christmas spicing. Dark chocolate, charred wood and blackberries with hints of citrus as well. 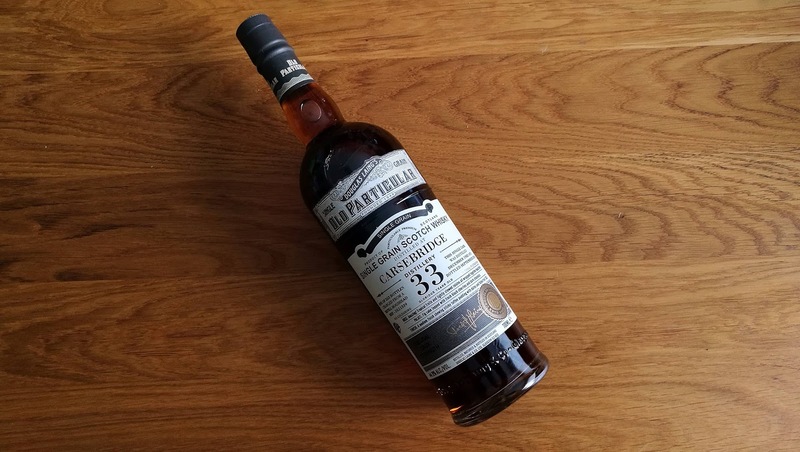 Overall: a top-notch grain whisky from a fallen comrade. Wonderfully agreeable and affordable if you can track it down. I’ll see you in the queue for another! Recently I sat down with the official single grain whisky from Loch Lomond distillery. It was perfectly pleasant but with the emphasis on a No..